14th Sept - placed my order and received reply from CS. 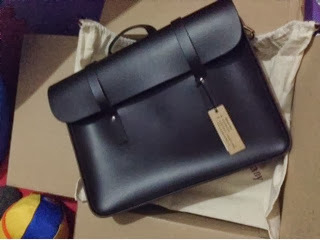 23rd Sept - Music bag arrived and received an email informed that they have shipped my 11" Oxblood satchel. my camera doesn't do justice to the colour. it's the exact colour shown in their site! I might place an order again in the next few months or so. 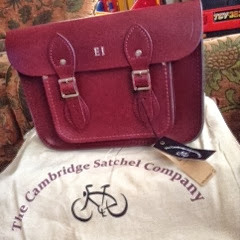 I want a bigger satchel so I can use it for work. I don't think I can use the 11" very often to work since I normally bring bottle water to work. Anddd I'm starting to like smaller bag these days. Hmm that's a good thing, right? Lol!